The date was April 15th 2015, Netflix debuted a new show based on Marvels Daredevil characters starring Charlie Cox in the title role. It was a total dark horse which didn’t need to deliver much to get some views in todays climate of live action comic book incarnations. 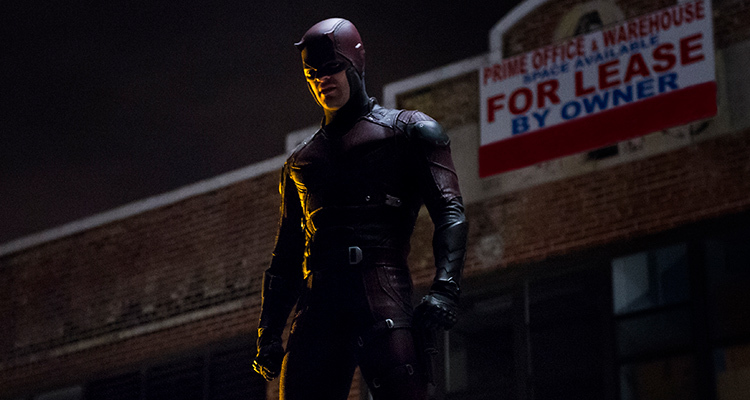 But Daredevil delivered what was one of the best TV shows based on a comic book to date. It had an unexpected but fantastic cast and production integrity that could have been compared to Christopher Nolans Dark Knight movies. Davedevil was literally an overnight success with Netflix airing the whole series at the same time. I remember watching each episode back to back on the Saturday of release and being amazing by what I was watching. Now after three critically acclaimed amazing series someone at Netflix has accidentally cancelled their greatest self owned show. Although Netflix haven’t commented on the reason to why it’s been cancelled I can only assume it was a massive mistake. Many fans have speculated that the show was dropped so it could be picked up by Disney for when they release their own streaming service although if this is the case nothing will have been decided yet. On the 18th November 2018 Producer Erik Oleson pitched season 4 to Netflix only to be told two weeks later they are not going to renew. I’m sure the Marvel streaming service will have something to do with the cancellation but if they mean to make season 4 themselves and continue it or if they wasn’t to reboot it, nobody knows just yet. Personally I think this is a massive shame, it’s one thing for something to fail, but when they do everything right and make an amazing TV show they should be rewarded and renewed. I wouldn’t want to be the one to reboot this series or try to make a movie, anything else will be compared to this series and I can guarantee a new take on Daredevil wont have the magic this series has. It was blessed with the unexpected success the Michael Keaton Batman movies did, nobody expected them to be the inspiration they were at the time. Now it leaves Disney with a big hole in their Marvel franchise, if they expect their streaming service to reach as many people as Netflix they are going to be mistaken. Movies and TV shows make it today on distribution and at the moment there isn’t a better way to get your TV show or movie in front of people then with Netflix. If Disney do want to pick up Daredevil for their streaming service I hope they can hire Erik Oleson and the rest of the Daredevil cast to take off where season three left off. CW managed to save Constantine when his show was cancelled and fingers crossed we will see Charlie Cox play Daredevil again.